When people browse a website, they want easy navigation, attractive design, and relevant content. As people spend less time online, however, businesses must leverage the website features users value most to hold audiences’ attention. People are becoming more selective about the time they spend online. With the average adult spending almost 6 hours per day on digital media, people are becoming wary of the internet's impact on their lives. Today, companies compete for users who want to curb their time online. This means businesses must incorporate website features users want without sacrificing functionality. 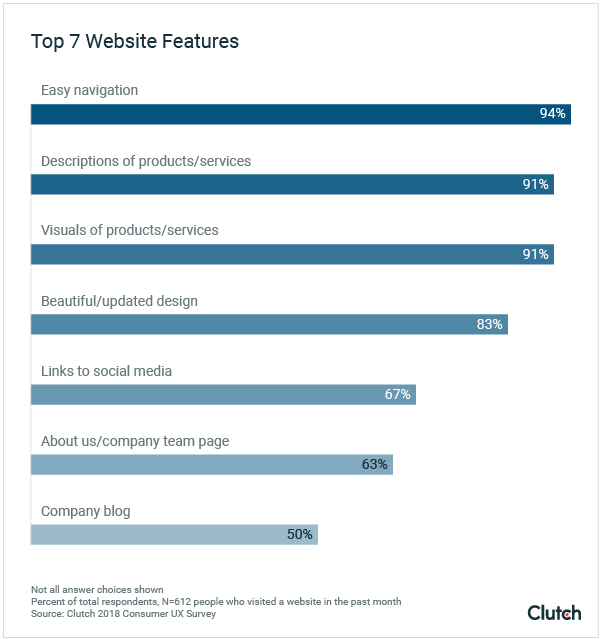 Clutch surveyed 612 people to discover which website UX features are important to them and which they can live without. We found that people prioritize access to content over trendy designs and features. Overall, people prefer design elements and website functions that help them discover relevant content. 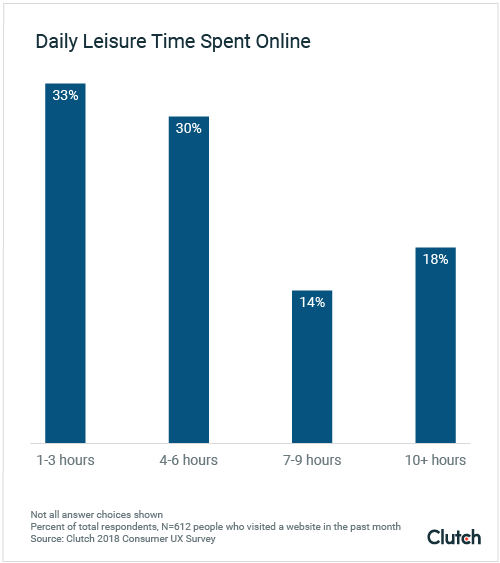 One-third of people (33%) only spend 1-3 hours online for leisure every day. Almost everyone (94%) says easy navigation is the most important website feature. Most people (83%) appreciate when a website looks attractive and up-to-date. Half of website users (50%) will leave a website permanently if the content is irrelevant. People value product descriptions and visuals equally. Nearly all (91%) find both features useful. Two-thirds of people (67%) think websites with links to the company’s social media account are extremely or somewhat useful. Half of people (50%) think company blogs are useful. People spend a significant amount of their work and leisure time browsing websites, and they’re beginning to question the internet’s impact on their lives. Because people may spend less time online, businesses must make the most of the limited time they have with their audience. One in three people (33%) will spend 1-3 hours online every day for leisure. Almost two-thirds of people (63%) spend 4 or more hours a day browsing the internet for leisure. On the high end of the scale, approximately 1 in 5 people (18%) spend 10 hours or more browsing online. On the low end, 4% of people spend less than one hour of their free time browsing websites every day. Between browsing the internet for leisure and using it at work, people spend most of their day online. Studies show that excessive screen time can be detrimental for adults. Social media websites, in particular, are facing backlash for their habit-forming design and disruption of quality, in-person social connections. To pre-empt a wave of anti-screen sentiments among consumers, companies like Apple, Facebook, and Instagram are making it easier for users to break the addictive cycle of their apps and devices. Apple’s latest iOS update, for example, allows iPhone users to limit the time they spend on certain apps and websites. 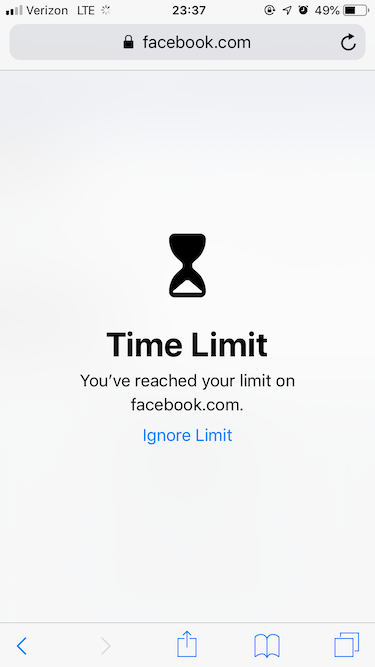 When users reach the time limit, the software blocks the app or site. The backlash against the most popular websites and the rise of “digital wellness” may result in challenges for businesses looking to attract people to their websites. Jordan DeVries is UX director at BraveUX, a UX design company in Washington D.C. He believes digital wellness could lead to a decline in website browsing. 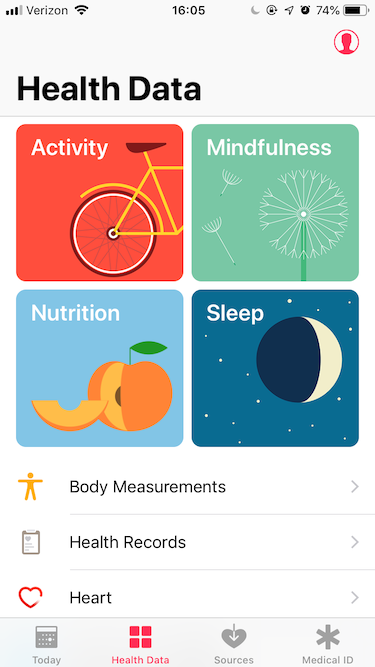 Still, he sees the potential for digital wellness to benefit businesses. “On the other hand, customers limiting their time on, say, Facebook may be hungry to fill that void, leading them to sites they may not have visited otherwise,” DeVries said. Customers who want to limit their time on websites and social media platforms may direct their attention to other sites, opening an opportunity for businesses to expand their content’s reach. Incorporating the top website features people want will help companies stand out in the increasingly limited time they get with people browsing online. People prefer websites that are easy to use and navigate. Almost everyone (94%) believes easy navigation is the most useful website feature. To determine which website features people consider useful, we combined responses for respondents who selected either “extremely” or “somewhat” useful. If survey respondents rated a feature as “slightly” or “not at all” useful, we did not consider their responses in our tally. A website that’s easy to navigate provides users with faster, more efficient access to content they want. People prefer a website with a clear menu structure that makes it easy to maneuver between pages. Amazon is known for being easy to navigate, despite its high volume of content. 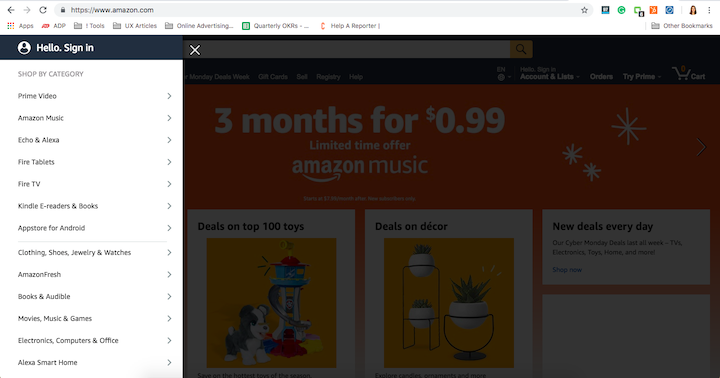 On its homepage, Amazon presents options for users to navigate and explore the site. By making menus easy to access and darkening the rest of the screen, people can focus on shopping categories and bypass the tempting offerings on the home screen. Businesses should follow Amazon’s example and prioritize functionality and navigation for their users. Not doing so could mean losing potential customers. Trendy web design elements can attract your target audience to your site. Beautiful and appealing designs enhance website content and establish a good reputation for your brand. Most people (83%) think that a beautiful and updated appearance on a website is useful. It’s important, however, for businesses to prioritize the user if they redesign their website. People appreciate beautiful and updated designs, but not when the trendy design interferes with their ability to use the website and access the content they need. Ubiquitous platforms like Windows and Google make users expect updated and interesting designs that aren’t overwhelming. Windows contributed to the minimalist, “flat” digital design trends that have been popular for the past decade. Flat design uses two-dimensional elements and bright colors to draw the users’ eye to content on the page. Apple released the iOS 7 software update in 2013, changing the appearance of icons and Apple apps. The update removed bevels and shadows from icons on the home screen, leaving flat buttons behind. The new buttons, however, still have rounded corners – visually signaling that the shape is a button. Some experts believe that flat design is on its way out. Adam Conrad is founder and principal of Anon Consulting, which works with marketplace and e-commerce businesses. 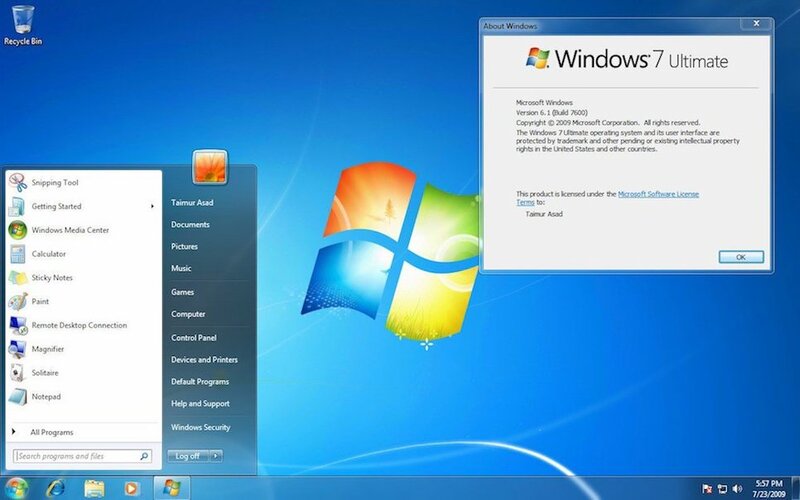 Windows 7, shown below, had rounded corners and beveled buttons on the toolbar, including the round start button around the Windows logo. 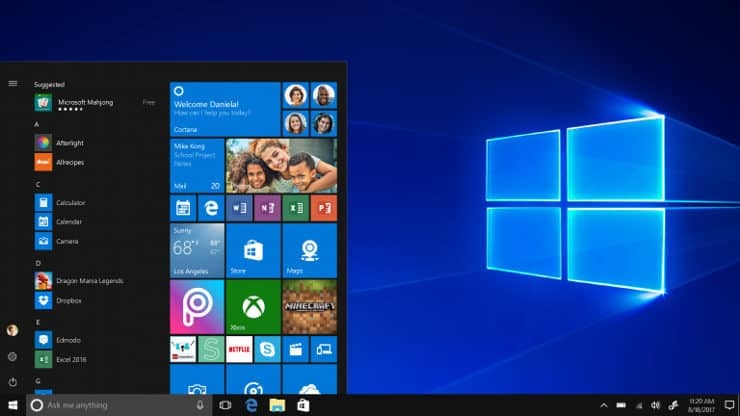 Windows 8, pictured below, replaced the traditional Windows design with two-dimensional shapes that are sleek and colorful. The design elements in Windows 8 are responsive but have a more modern feel than the previous iterations. “Tiles” replaced the traditional icons and menu items in the toolbar. Even the iconic logo became flat. The abrupt departure from earlier design, however, caused confusion among some users. “You can’t really tell if elements are clickable because they don’t have any bevel or shadow,” Conrad said. Instead, Conrad recommends adhering to design conventions that have stood the test of time. Dan Burke is a UX and product manager at Getfused, a full-service digital marketing agency in Boston. He agrees that we may soon see the end of truly flat design. Burke proposes an alternative – a blend of flat design and the more traditional, rich design, where digital design elements are more tactile and intuitive for users. He calls this combination “flat-ish” design. “’Flat-ish’ design makes use of subtle drop shadows, gradients, and animations to bring depth to the screen,” Burke said. Flat-ish design offers an opportunity for businesses to improve their websites’ usability without confusing the user with drastic design shifts. Combining the sleek, digital look of flat design with subtle gradients and shadows provides a timeless – but not invasive – design that companies can use for years. People visit websites to access content. Accurate content tailored to a specific audience establishes brand authority for businesses. Half of people (50%) will leave a website permanently if the content is irrelevant. More website users will leave a site permanently because of irrelevant content than because of elements that interrupt content, such as advertisements (35%) or unintuitive design (28%). Because content is a priority for most people, companies must understand what people want to watch or read to understand their intent. User intent is a digital marketing term that refers to the purpose of people’s search queries online. UX designers map “user journeys” to make sure the content on each page in the domain is relevant to the user and has a logical flow. “A lot of the time, companies design without content,” said Rahul Kondi, a senior UX designer at Lollypop Design Studio, a design firm in Bangalore, India. He sees designers create wireframes, or mock-ups of web designs, without understanding what content the user will be looking for on that page. “They’ll allocate space for blog posts, for example, but designers do that without really understanding the nature of that piece of content,” Kondi said. Instead of designing around a blank space where content will be, help your UX team blend design and content by sharing a sample blog post or product page. To hold users’ attention in 2019, UX designers need to map users’ journeys and incorporate content in a website's design phase. This will make sure content is relevant and useful for website visitors. People think product/services visuals and descriptions are equally useful when they visit a company’s website. Nearly everyone (91%) believes both descriptions and images are useful when browsing a website. Steve Vest is the senior user experience designer at Small Footprint, a software development company in Winston-Salem, N.C. He says that using unmarked design space, or “white space,” can help companies present both written and visual content effectively. Companies should apply this approach to both the mobile and desktop versions of their websites. Most users are browsing on mobile, so it’s important for businesses to develop mobile-responsive websites that don’t overwhelm the user. 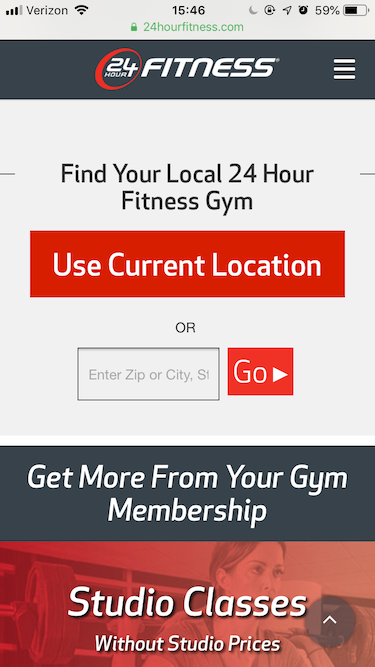 For example, 24 Hour Fitness’ home page on mobile only has one image, a menu bar in the top right corner for easy navigation, and a large form where users easily access the content they want on mobile – the location of the nearest gym. 24 Hour Fitness doesn’t force users to enter information in multiple contact forms. 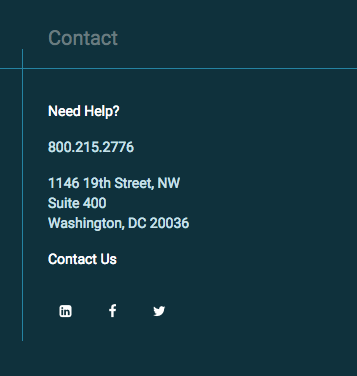 Instead, it presents one contact form for people to enter their zip code and find the facility closest to them. Because descriptions and visuals of products and services are equally important to users, companies must make both elements stand out on the page with clever web design. Links to social media accounts are important for people browsing a company’s website. Almost 40% of website users (37%) think social media profile links are extremely useful. Only 13% think they are not useful at all. Social media account links fall below descriptions and visuals among users’ favorite website features but above “About Us” pages and company blogs. This preference for social media may be due to the immediacy offered by platforms like Facebook and Twitter. Company social media profiles typically offer the same information as an “About Us” page on a more accessible medium. Conrad believes that website users gravitate toward social media out of convenience. Businesses should use social media to connect informally with their users. Content on a company’s social media page should be just as current and useful as the main website. Social media integrations also provide valuable social proof, allowing users to verify a company’s legitimacy across platforms. Icons for Facebook, LinkedIn, Twitter, or Instagram tell people where they can find the company on social media. Companies can even customize the social media icons to match their branding and seamlessly blend into their website. People want more personal interactions with companies, so companies should repurpose content for social media. Companies can also use interactive features like direct messages to answer users' questions or direct them back to the main company website. Facebook, for example, includes colorful text showing how quickly a business responds to messages on their page. Social media also generates word-of-mouth leads. Nearly three-quarters of people (72%) would recommend a company if they have a positive experience with that company on social media. People spend a lot of time on social media, making it a good place for companies to connect with potential customers. It’s important for businesses to extend their online presence on the social media platforms that best meet their needs. When it comes to website content, people prefer product descriptions and visualizations over company blogs – but that doesn’t mean businesses shouldn’t invest in creating blog content. Overall, website users are split equally on whether company blogs are useful – half think they are valuable and half think they are not. Nearly one-quarter of people (23%) find company blogs extremely useful, but 21% of people don’t find company blogs useful at all. This ambivalence toward company blogs can be attributed to the rise of social media and other external outlets for company content, according to Brian Lacey, CEO of Mobomo, a web design company near Washington D.C.
Companies can also now host their blogs on external platforms like Medium. Medium had 60 million monthly readers in 2017, so businesses use the platform to reach a wider audience and associate their brand with high-quality content. Though Medium is an easy way to get content in front of more people, it’s a crowded field with a competitive algorithm that prioritizes articles based on quality, topic relevance, and user interaction. Companies that host their blog content on Medium miss out on important SEO benefits. Company blogs hosted on a company's website help SEO by targeting long-tail keywords and providing opportunities for both external and internal linking. Backlinks improve a site’s ranking in Google search engine results. To create successful blog content with strong SEO benefits, blog posts must be thoughtful and well researched. Blog posts that provide specific, actionable takeaways for a business audience enhance a company’s brand authority and keep a company website fresh and current. Even though users have mixed feelings about the usefulness of company blogs, high-quality content is still an important tool companies should use to boost search engine rankings and establish their brand’s authority. Companies considering a new website design should take people's preferences to heart. Because people want to spend less time online, companies must create websites that offer the features potential website visitors find most useful. Easy navigation features should be companies’ top priority when creating a new design. By adding simple, responsive navigation toolbars and menus, companies can create an intuitive user experience. Businesses should also incorporate a blend of current trends and timeless design elements for an evergreen design that people will still find modern. Website content remains key to engaging users and driving conversions online. People want both images and written product descriptions, so companies should use design techniques to display content in a way that isn’t overwhelming. Although people aren’t spending as much time online reading company blogs, websites need thoughtful, relevant blog content to rank in search engine results. By making website users’ needs a priority, companies can increase their web traffic and conversions. All it takes is listening to what people really want. 10% are 65 and over. Sixty-five percent (65%) of respondents browse on Chrome, 18% use Safari, 5% use Firefox, 1% use Internet Explorer, and 10% use something else. Respondents were from the Midwest (23%), Northeast (15%), South (41%) and West (19%).